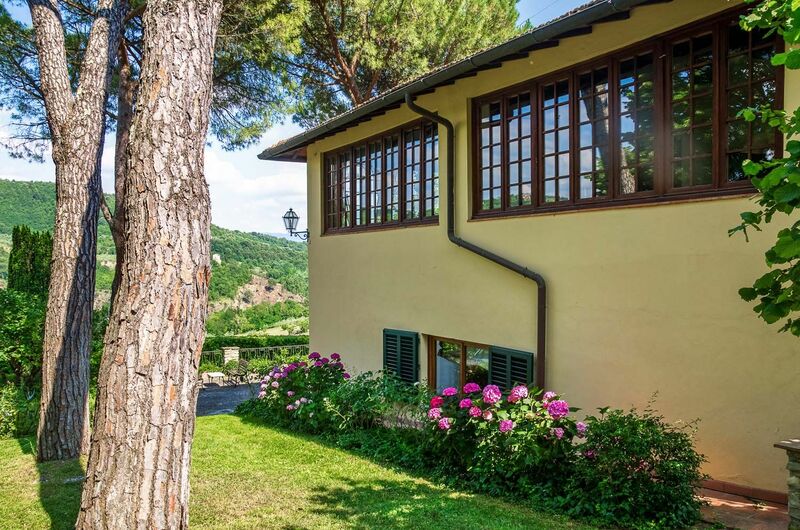 The semi detatched villa has four spacious bedrooms, a 15×30 foot living/dining area on the upper floor, surrounded by large windows on three sides, wooden beams and a grand working Tuscan fireplace. The inlaid wood dining table comfortably seats fourteen. 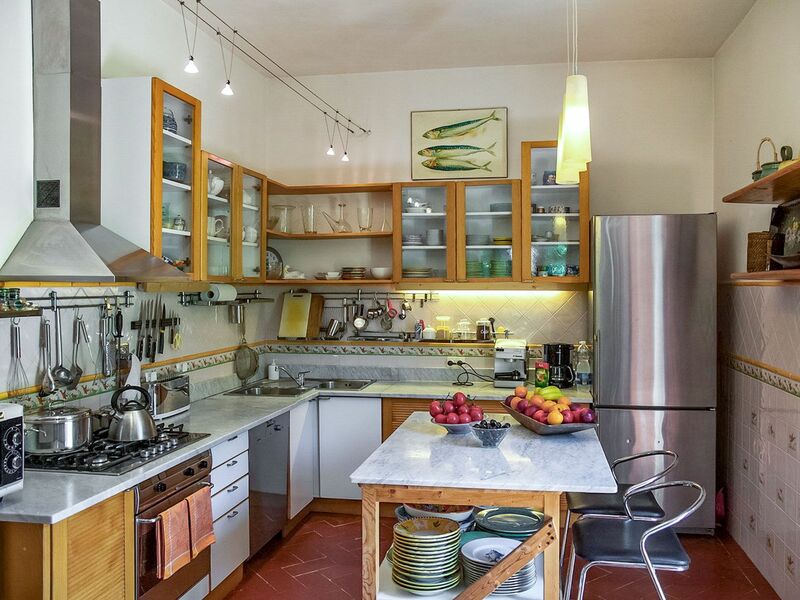 The modern kitchen is well equipped for entertaining. 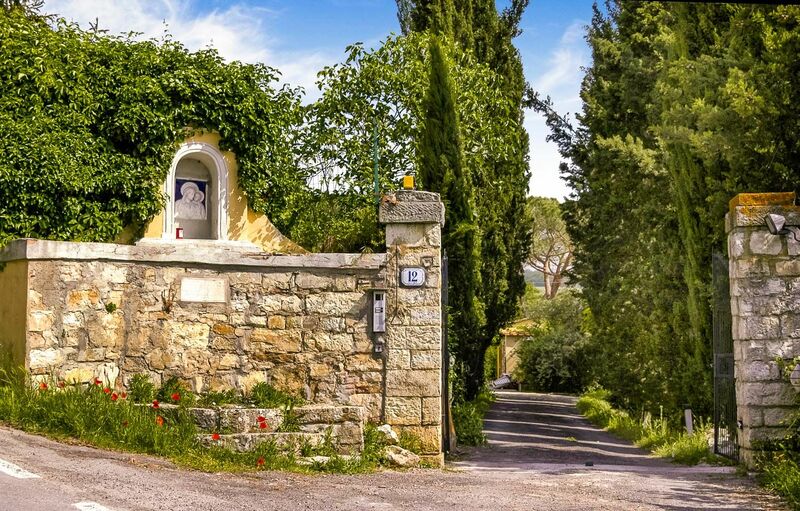 This multi-leveled property has 4 terraces. 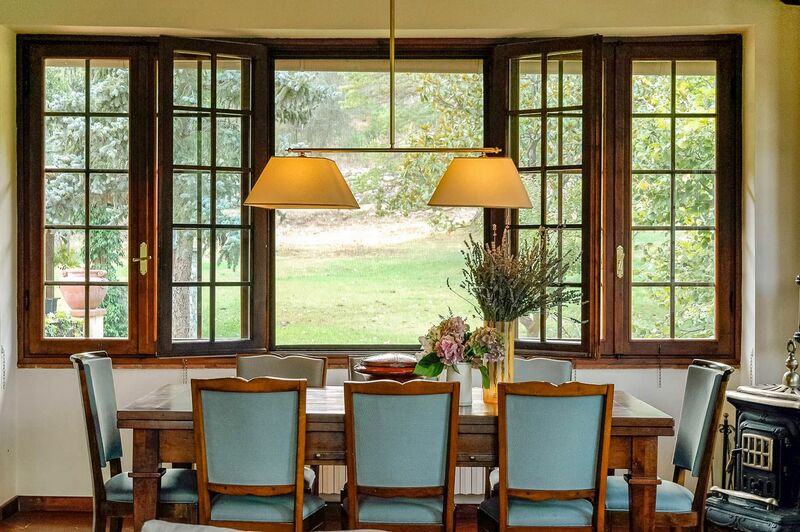 The first, at the entrance to the house, has a sitting area and overlooks the distant valley. 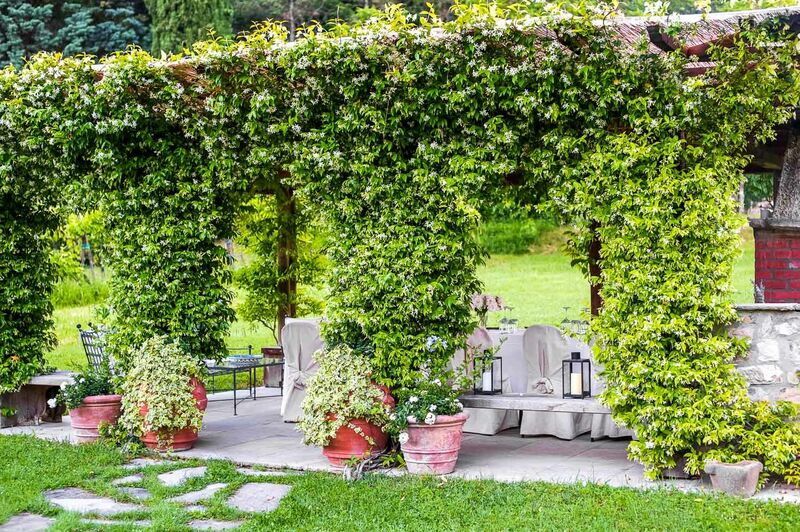 The second is a large pergola in the upper gardens with a sitting and dining area equipped with a Tuscan barbeque and marble counter with sink. 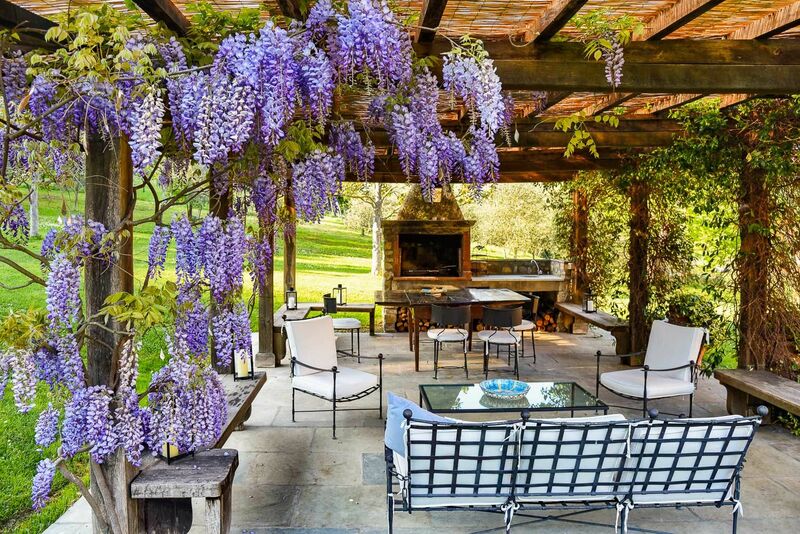 Above the pergola is the top level of the property which affords spectacular panoramic views and is perfect for a morning coffee or sunset drink. The fourth lounging area adjacent to the pool has a sitting area as well as a covered outdoor dining area. Strictly a NON SMOKING residence. 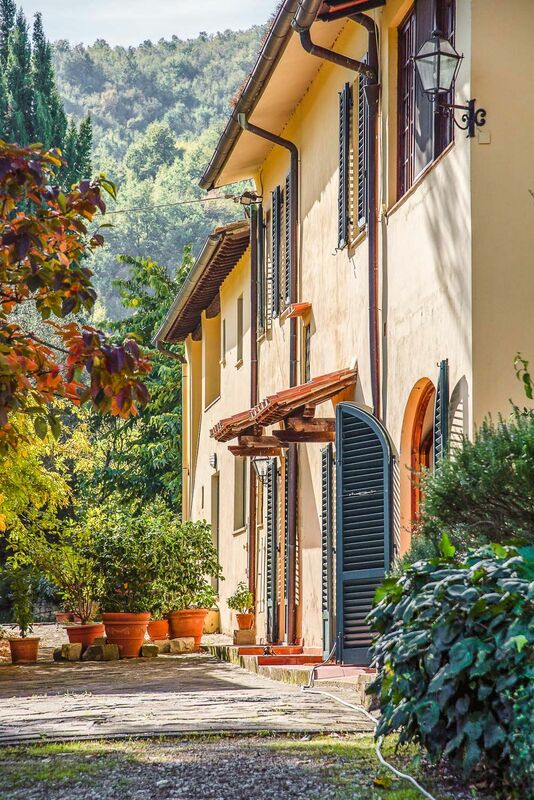 The villa has been lovingly restored with attention to detail - furnishings are in an international, eclectic style combined with many original Tuscan features such as exposed beamed ceilings and terractotta tiled flooring . 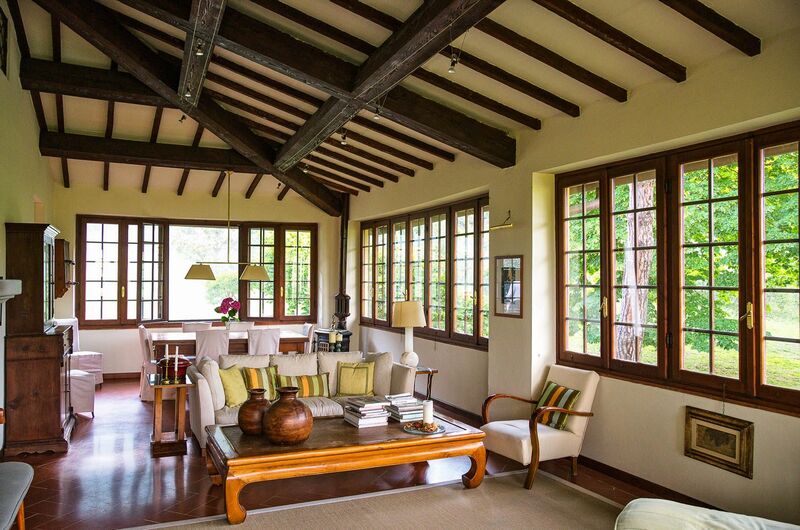 The interior decoration combines antiques with modern sofas and other contemporary furniture. The exterior pergola furniture is custom designed as well. 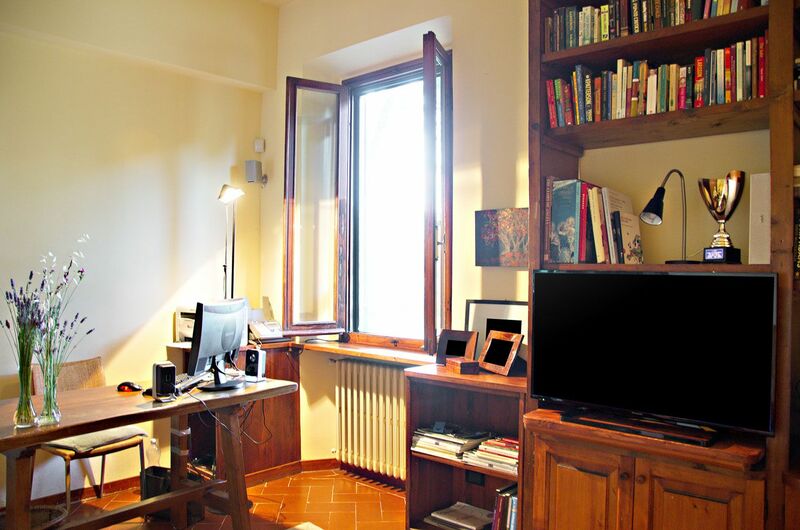 Screens on most windows and new individual room controlled central heating. enhance the ambiance. 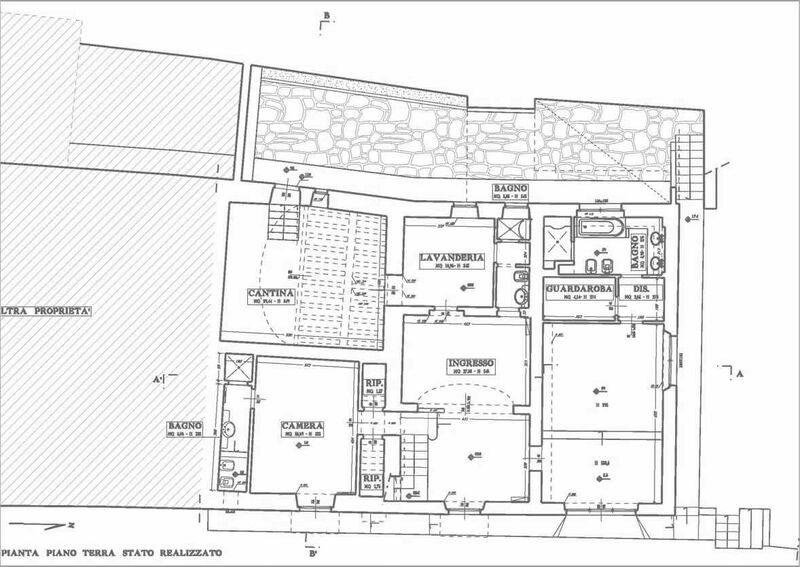 Each of the four bedrooms has a luxurious private bath. 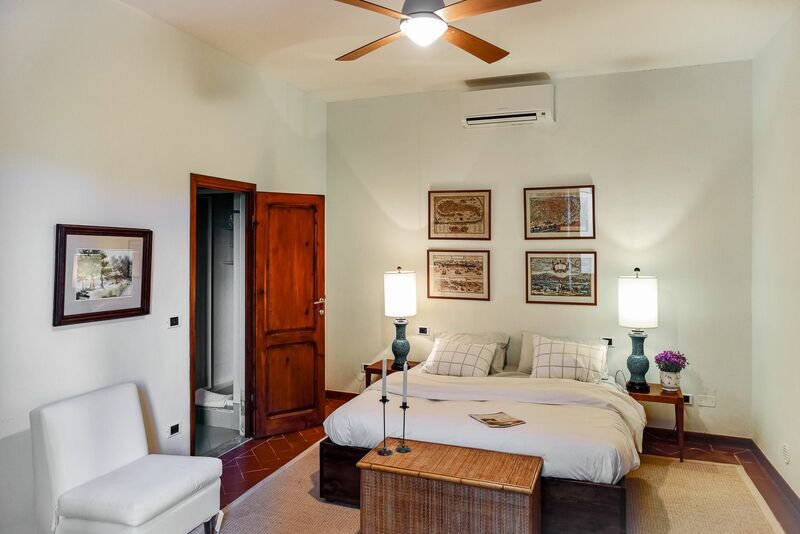 There is an additional full bathroom located on the ground floor1 master suite and 3 large double bedrooms all enhanced with fine Italian bed linens and towels. The master bedroom suite is air-conditioned. 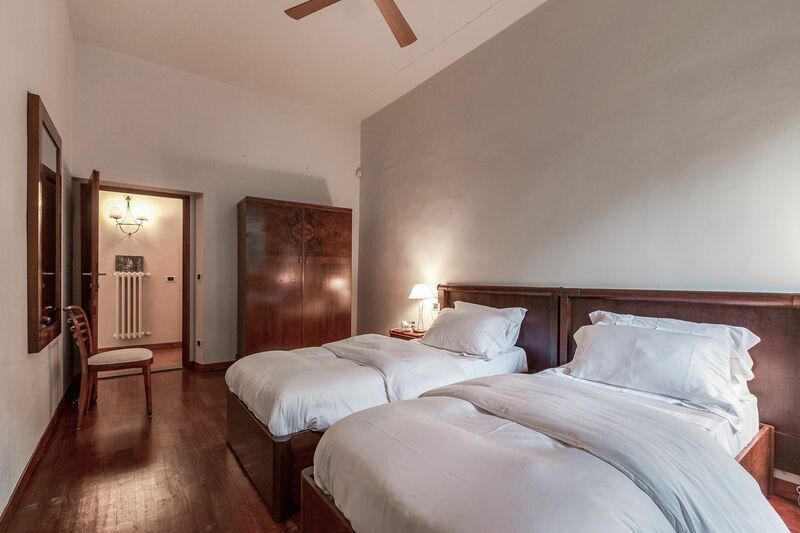 The other bedrooms have remote controlled ceiling fans and air conditioning. All bedroom windows have screens. 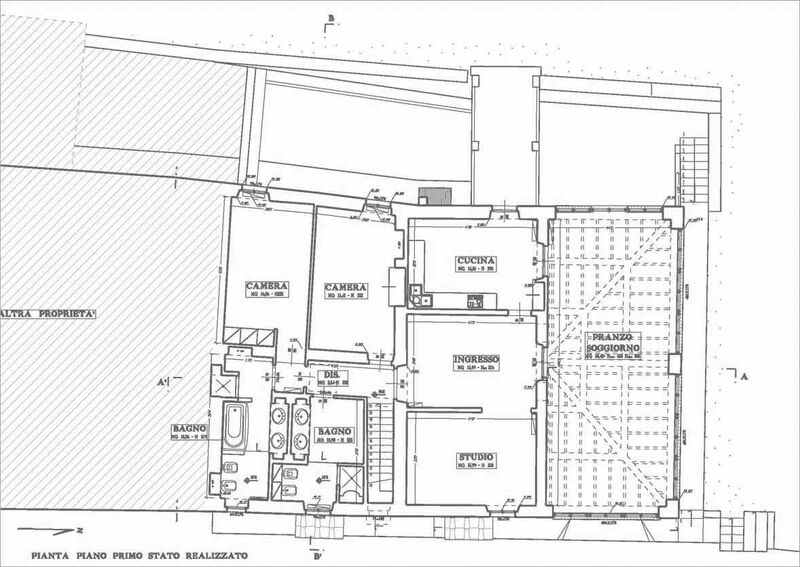 Equipped with an espresso machine, new refrigerator, Miele dishwasher, Alessi toaster, microwave, large double sink, marble countertops and fine Richard Genori china along with Le Jacquard Français table linens. Wine and glassware are carefully selected to enhance the dining experience. There are two bar stools and a marble counter for informal eating. 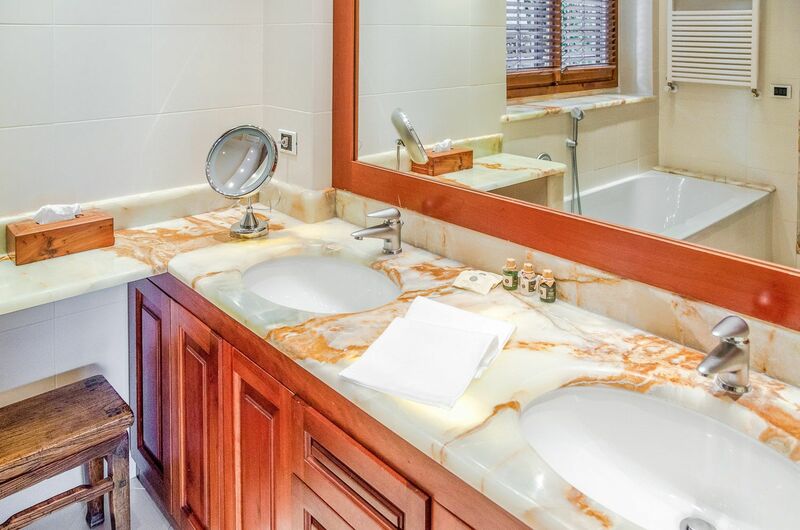 5 full contemporary bathrooms are of the highest standards combining marble, wood and authentic Italian ceramic tile. 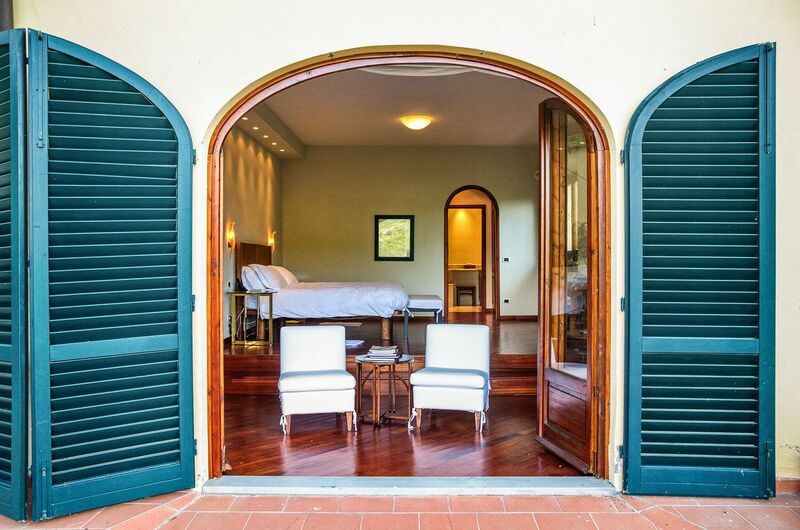 They are equipped with guest bath amenities from Erbario Toscano as well as with hairdryers, bathrobes and heated towel racks. Three of the five bathrooms have double sinks. 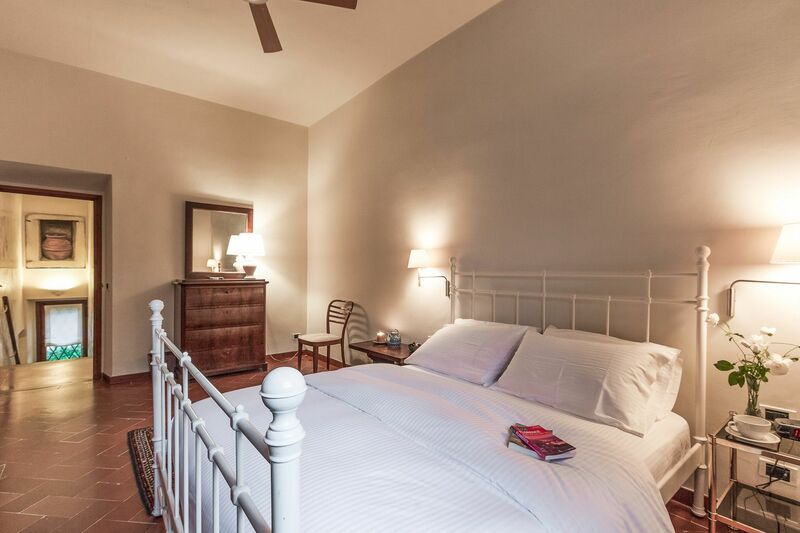 Entered on the ground floor, the grand two level suite has striking hardwood floors, a custom made king size bed. Surrounded by windows, either looking into the rose garden or completely open to the terrace for outdoor living, the Leonardo Suite connects one to the natural setting. Antique side tables with murano glass sconces lend elegance to the bedroom. 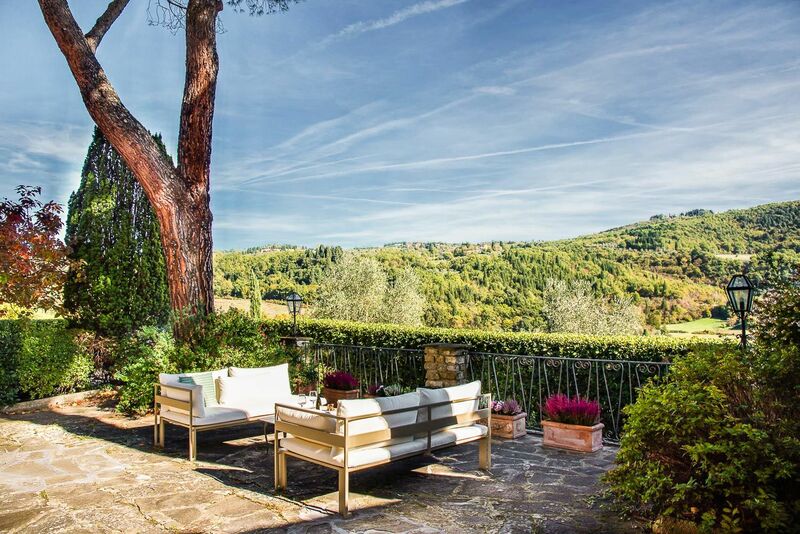 Custom-made modern chairs are ideal for reading and relaxing by the open terrace. CD and radio controlled by remote completes the mood along with remote controlled AC. The suite has built in wood closets and shelves, which lead to the en suite bathroom. 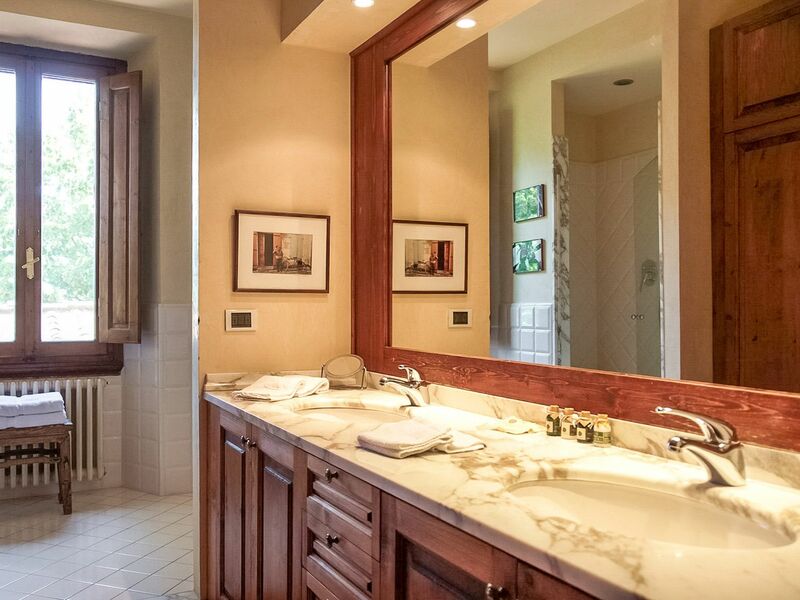 This luxurious bathroom has a double sink and both a bath and shower with a build in marble seat and rainfall shower. This room is dramatically lit with recessed and under sink lighting. A lit magnifying mirror and bench provide a dressing table. 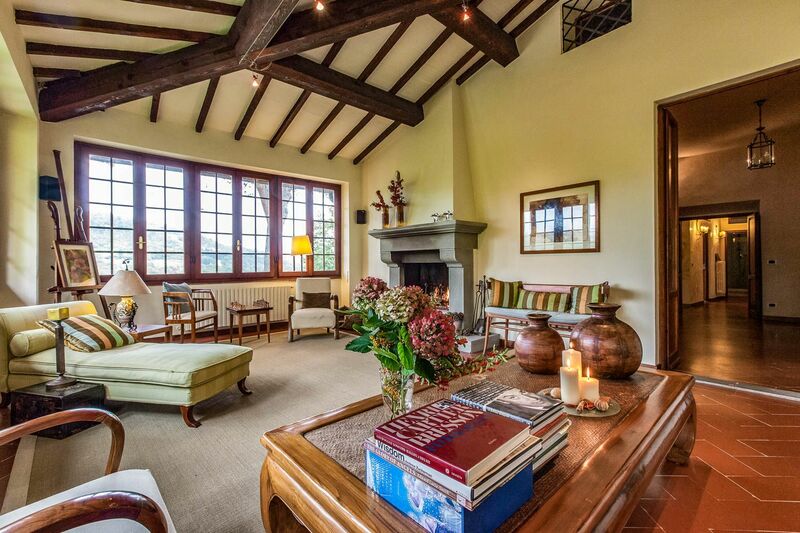 This ground floor spacious room, decorated with old maps, can be entered from the hall way or terrace. 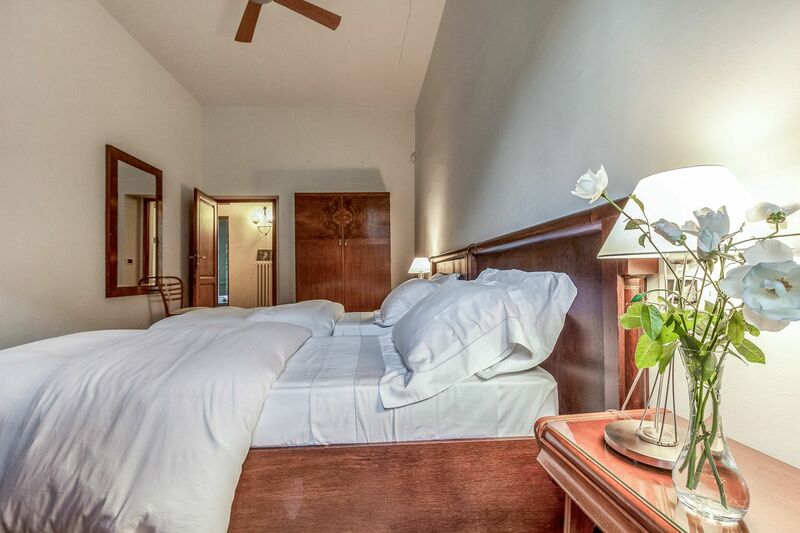 This room has an elegant antique armoire with mirror and small dresser with en suite bathroom with shower. Imposing antique ceramic lamps grace both sides of the bed. Extensive closets outside of room for clothes. The two twin beds can easily be converted to a king. Remote controlled AC and ceiling fan. 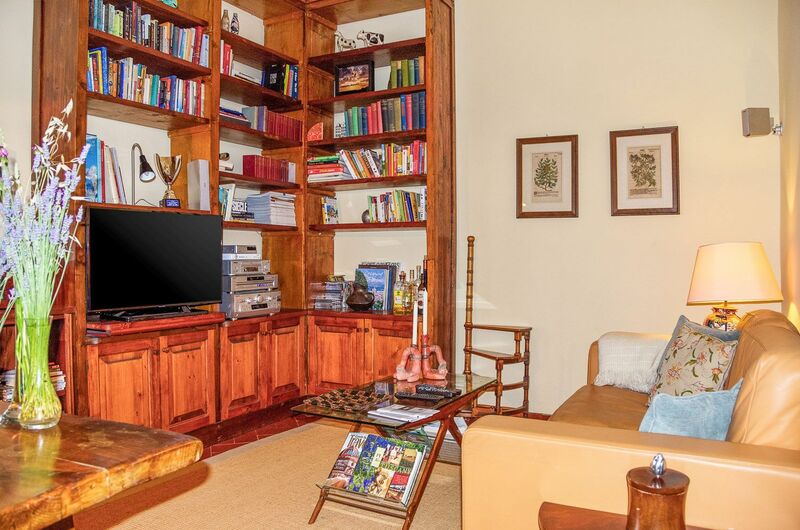 Decorated in a palette of soothing ivory and beige tones with built in closet and shelves where you can discover a poetic or touring book to enhance local explorations. 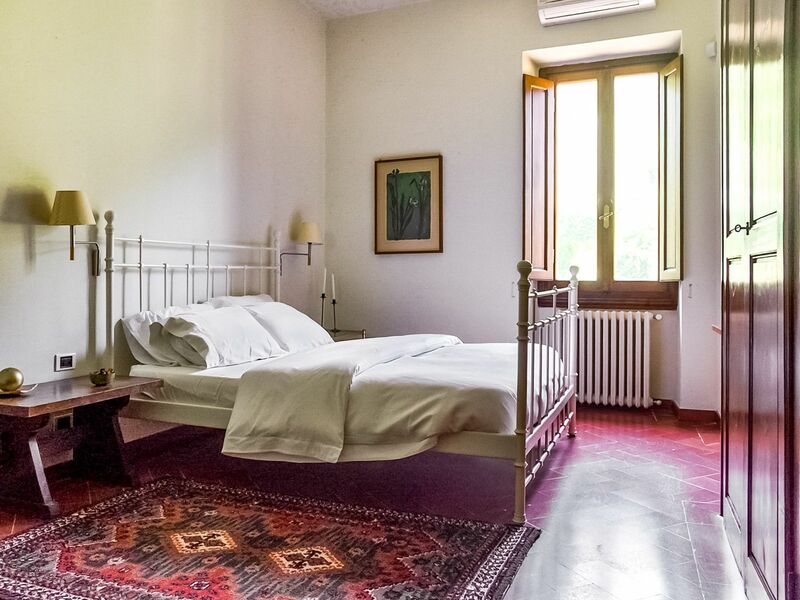 Matrimoniale – large queen white antique bed, with view of rear garden and pergola. Double sink large luxurious marble and wood bathroom with shower and extensive closet and storage space. Remote controlled AC and ceiling fan. 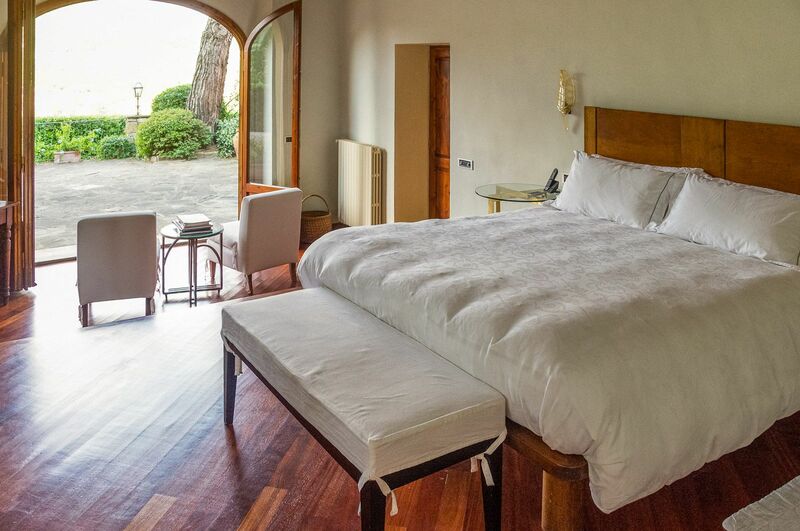 Antique carved wooden headboard sets the stage for a refined and tranquil setting overlooking the rear gardens. This room is graced with a stunning antique impeccably maintained steamer armoire with both closet and shelf space. This room can convert comfortably from twin to a large king size bed. 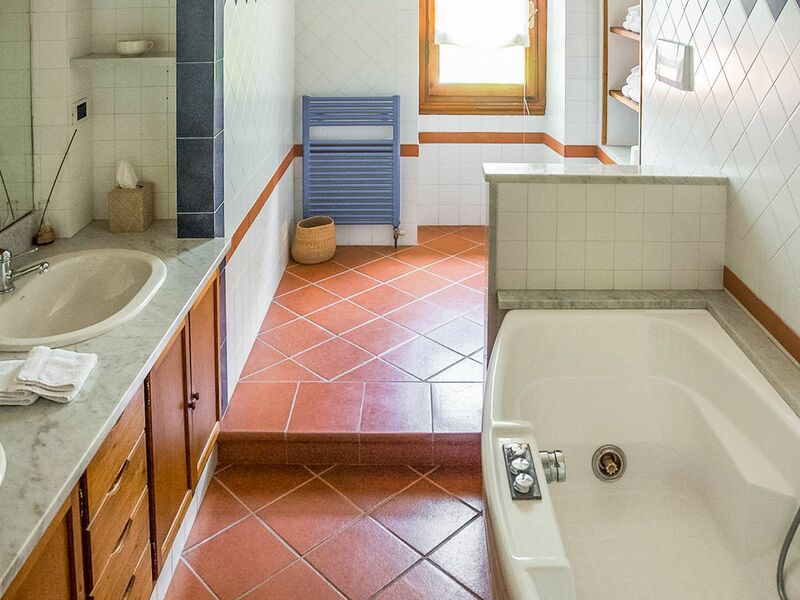 The spacious and well-equipped bathroom has a blue and white tiled double sink and wood drawers as well as both a Jacuzzi and shower along with a washing machine for the sole use of the guests. Remote controlled AC and ceiling fan. 200 satellite-channel flat screen television, Wi-Fi, desktop computer, printer/copier/fax machine, DVD player and library of useful, informative books for informal reading or touring. 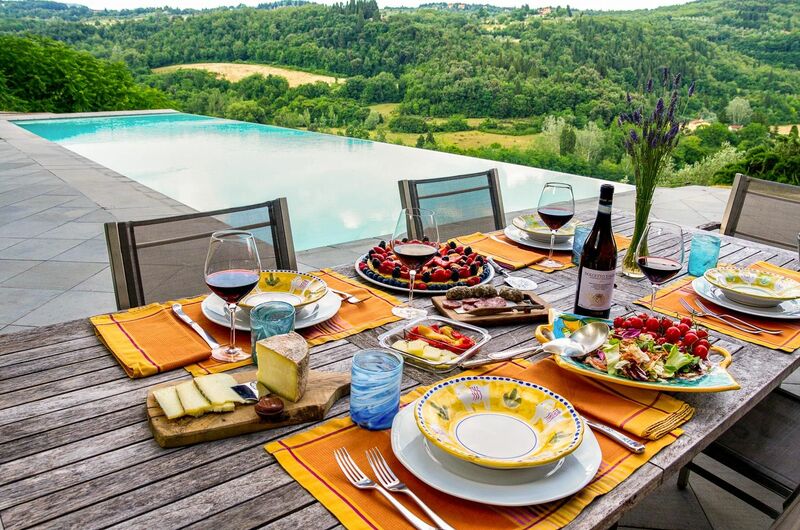 A gathering place before or after dinner, either to share the experiences of the day, gather around the Tuscan fireplace, play a game of chess or eat at the gracious table that can extend to serve 12-14. 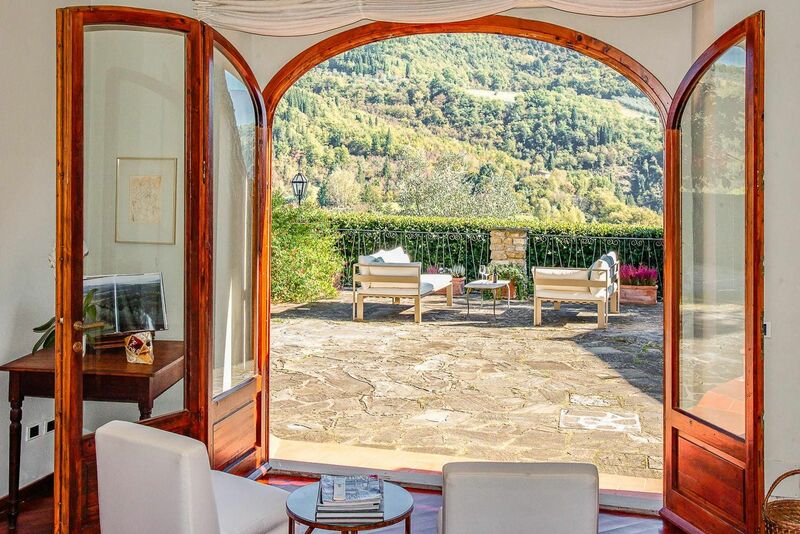 This large wood beamed stylishly appointed room with windows on 3 sides feels connected to the spectacular countryside that surrounds it- olive orchard, vineyards and cypress trees along with panoramic views of hills and valleys that capture the unique essence of Toscana. A variety of fruit trees, grapes, berries as well as herbs including rosemary and sage move from “farm to table”. The gardens include many kinds of flowers and flowering trees such as magnolia and hydrangeas. 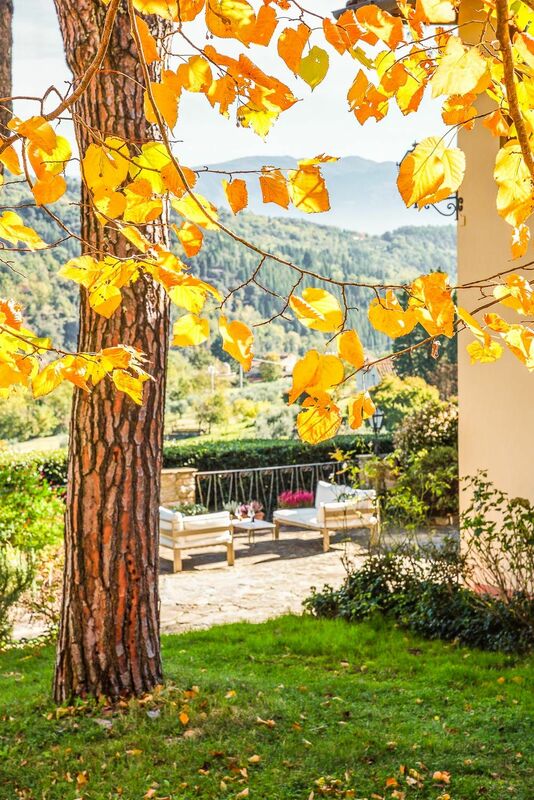 Enjoy magnificent vistas from different parts of the terraced property. be set with an eclectic selection of more formal Richard Ginori china contrasted with the charming Vietri ceramic dishes and mugs set on the colorful Le Jaquard Francais table linen. 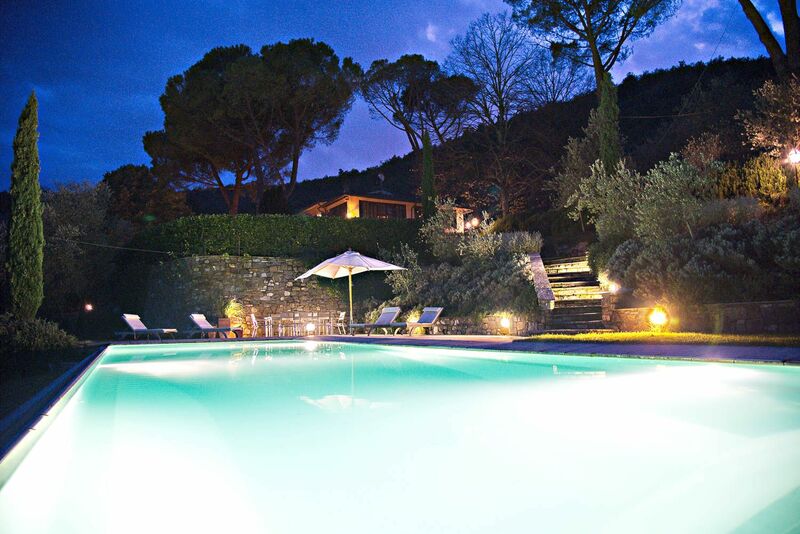 Please note: Maximum 4 children permitted to stay at the villa. Maximum 75 people for wedding / events. According to Italian law (ART. 109 – TULPS), the owners and/or managers of any touristic structure are required to register their guests with the authorities prior to allowing their access to the facilities. In order to facilitate the registration, process you will be required to provide complete contact details (name, last name, address, telephone number etc. ), a copy of the passport and the authorization to hold these details in accordance to law (D. Lgs. 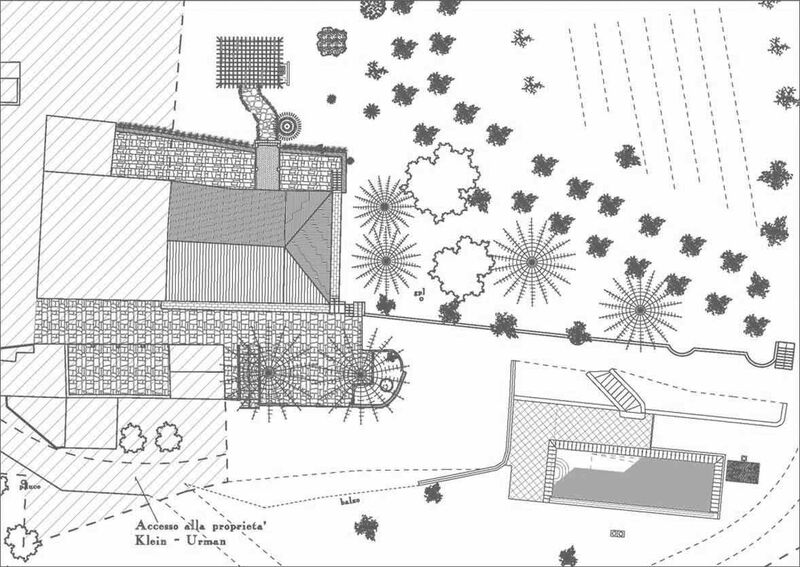 196/2003) on privacy protection, prior to your arrival at the property. This information cannot be used to promote, sell, solicit any service or product to you and is required only for the individual responsible of the rental agreement. 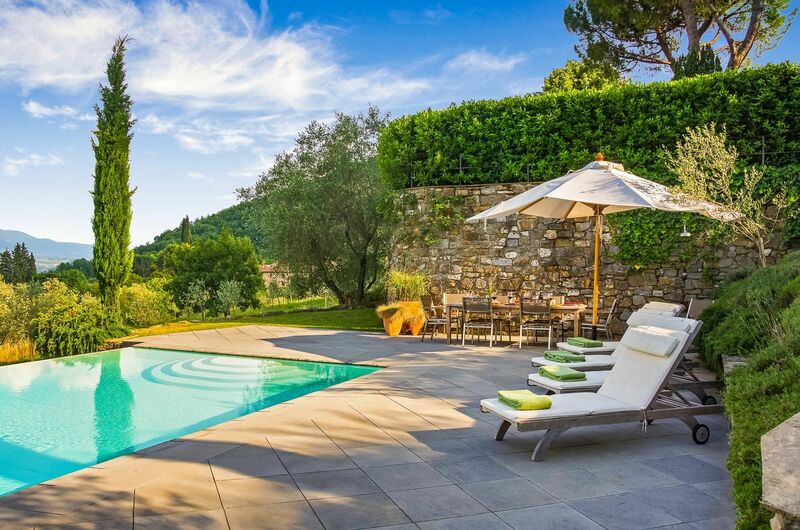 Located in Fiesole in a majestic rural Tuscan setting. Downtown Florence is easily accessible via train, taxi or car within 20 minutes. 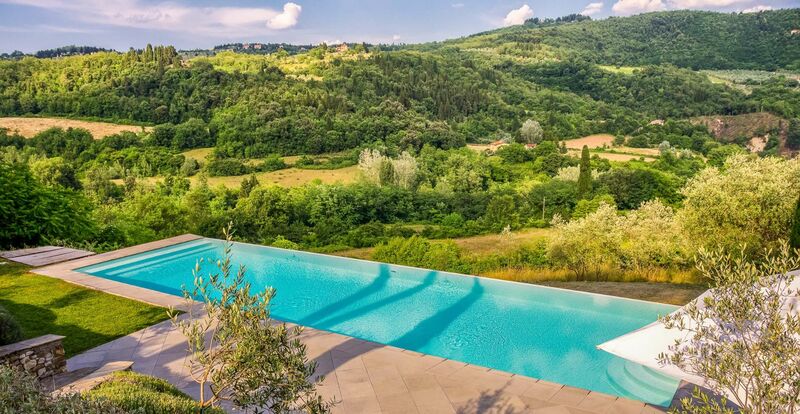 Located in the heart of Chianti, it is an easy drive to Arezzo, Pisa, Siena, Greve, Lucca, Montepulciano. The nearby piazza has a supermercato, pasticceria and cash machine. Tennis and golf facilities are nearby. It is only a 15 miniute drive to Firenze Sud exit of A1, Milano-Roma superstrada.